VictimLaw.Com | Charles M. Thompson, Securities and Class Action Attorney at Law. 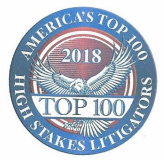 One of America’s Top 100 High Stakes Litigators! Let’s face it, when you lose money, you feel guilty – even when your loss is due to a bad stock broker! Often a broker will try to use this guilt to encourage you to do nothing. Don’t feel guilty if you lost money – Call us! If you suspect you’ve been the victim of securities fraud, choose your next step wisely. The S.E.C. receives roughly 50,000 fraud complaints a year, and takes action on only 500 of them! Handling the situation yourself also rarely pays off. Your best option is to hire an experienced and skillful Securities Attorney. Charles M. Thompson is an Alabama Securities Lawyer, with a great amount of experience in Alabama stock fraud cases, and he can help you. There are only a handful of lawyers in the state of Alabama that specialize in securities law the way that Charles Thompson does, and fewer still that have the years of experience recovering money for defrauded investors like we do. Please watch the video below to understand what sets us apart in the legal field.